If you have any questions about the KIPANY information page below please contact us. The good sized luxury yacht KIPANY is a motor yacht. 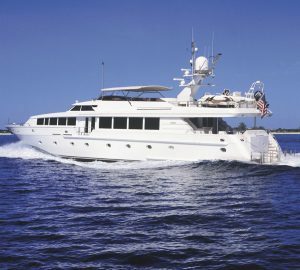 This 34 metre (110 ft) luxury yacht was manufactured at Rodriquez Yachts in 1998. KIPANY is ex (Intermarine Series 35) Royal Flush. Superyacht KIPANY is a stylish yacht that is able to accommodate a total of 8 guests on board and has approximately 5 crew. Completed in 1998 this boat’s interior decoration proffers the design know how of the design work of Paola D Smith. The yacht's wider design collaboration came from Intermarine and Mp Group. The professional naval architecture intellectual property are a products of Intermarine. Motor Yacht KIPANY received her stylish interior designing from the interior design company of Paola D Smith. Built at Rodriquez Yachts this vessel was fabricated in the known yacht building country Italy. She was successfully launched in Sarzana in 1998 before being delivered to the owner. Her hull was constructed with composite. The motor yacht superstructure is made mostly from composite. With a width of 7.59 m or 24.9 feet KIPANY has moderate room. She has a reasonably shallow draught of 1.98m (6.5ft). She had refit maintenance and modification completed in 2006. She is propelled by twin proven MTU main engine(s) and can find a industrious top end speed of approximately 20 knots. The main engine of the KIPANY creates 1800 horse power (or 1325 kilowatts). Her total HP is 3600 HP and her total Kilowatts are 2650. Connected to her MTU engine(s) are twin screw propellers. This yacht’s magnificent cruise speed is 17 knots which gives a range of 1200. The good sized luxury yacht motor yacht KIPANY is able to accommodate a total of 8 people and 5 professional crew. Range in nautical Miles is 1200 at a speed of 14 knots. The yacht uses Condaria AC. Her deck material is predominantly a teak deck. 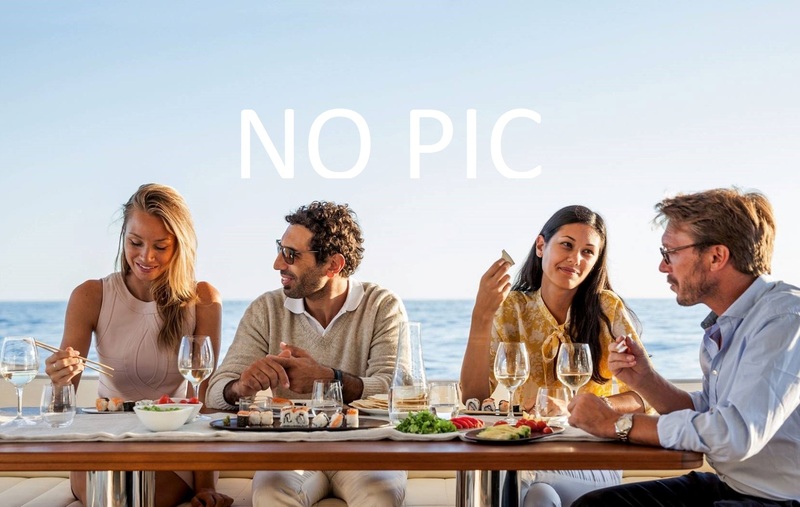 The luxury yacht KIPANY displayed on this page is merely informational and she is not necessarily available for yacht charter or for sale, nor is she represented or marketed in anyway by CharterWorld. This web page and the superyacht information contained herein is not contractual. All yacht specifications and informations are displayed in good faith but CharterWorld does not warrant or assume any legal liability or responsibility for the current accuracy, completeness, validity, or usefulness of any superyacht information and/or images displayed. All boat information is subject to change without prior notice and may not be current.